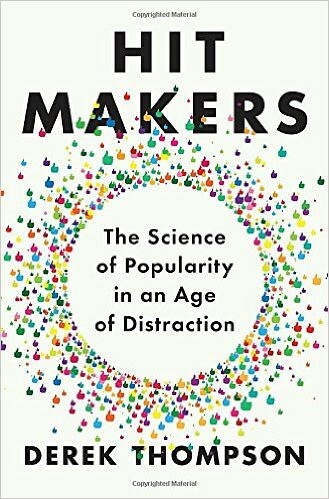 Derek Thompson will be presenting his book Hit Makers: The Science of Popularity in an Age of Distraction at Powell’s Books next Wednesday. I’ve long been a fan of Thompson’s writing from the days when he was the Atlantic’s economics writer. This book explores the rules by which number one songs, blockbuster movies, virial memes and ubiquitous apps become a hit. I think the principles he highlights can also improve the ordinary messaging of the many political operatives that read the Oregon Catalyst on a regular basis. This book defies summary. You’ll have to read it in its entirety to fully grasp the lessons Thompson offers his readers, but here are some key concepts. Thompson disposes of the idea he’s writing about something new to the age of social media when he picks as his first example Johannes Brahm’s Wiegenlied, the now world-wide baby lullaby. Thompson points out that this lullaby “was an instant success not because it was incomparably original, but because it offered a familiar melody in an original setting.” He goes on to generalize this point. Most consumers are simultaneously neophilic— curious to discover new things— and deeply neophobic— afraid of anything that’s too new. The best hit makers are gifted at creating moments of meaning by marrying new and old, anxiety and understanding. They are architects of familiar surprises. Thompson calls another important principle the “exposure effect.” The more people see something the more they will be disposed to like it. This is how the unfamiliar can become familiar. Thompson rejects the notion that simply making the perfect product will make its spread inevitable. The quality of your message is only a necessary condition. A good plan for disseminating it is the sufficient condition for success. 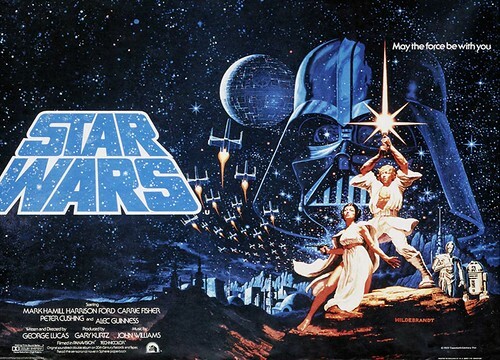 Maybe you’ve not had the time to read the history behind George Lucas’ creation of Star Wars. I’m not talking about the production of the movie; I mean the conception of the themes and story arch. Many books have been written about the most successful movie franchise of all time, but Thompson’s book contains a chapter summarizing the prevailing literature on what can be learned from Lucas’ creative process. For any Star Wars fan, that’s well worth buying the book, but for anyone interested in learning these lessons for general application, this chapter is priceless. Elections are ultimately the result of the social vectoring of ideas. If you want to get your ideas out there, this is a must read book. Perhaps I’ll see some of you at Powell’s Books next week.